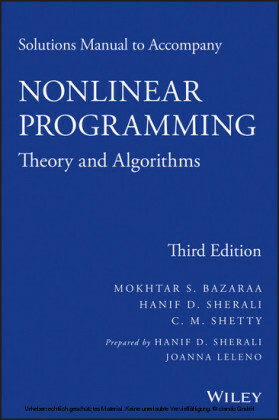 COMPREHENSIVE COVERAGE OF NONLINEAR PROGRAMMING THEORY AND ALGORITHMS, THOROUGHLY REVISED AND EXPANDED Nonlinear Programming: Theory and Algorithms - now in an extensively updated Third Edition - addresses the problem of optimizing an objective function in the presence of equality and inequality constraints. 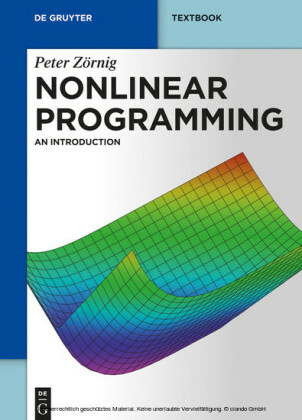 Many realistic problems cannot be adequately represented as a linear program owing to the nature of the nonlinearity of the objective function and/or the nonlinearity of any constraints. 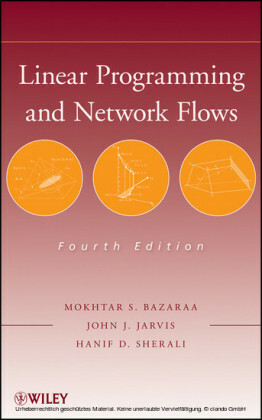 The Third Edition begins with a general introduction to nonlinear programming with illustrative examples and guidelines for model construction. Concentration on the three major parts of nonlinear programming is provided: Convex analysis with discussion of topological properties of convex sets, separation and support of convex sets, polyhedral sets, extreme points and extreme directions of polyhedral sets, and linear programming Optimality conditions and duality with coverage of the nature, interpretation, and value of the classical Fritz John (FJ) and the Karush-Kuhn-Tucker (KKT) optimality conditions; the interrelationships between various proposed constraint qualifications; and Lagrangian duality and saddle point optimality conditions Algorithms and their convergence, with a presentation of algorithms for solving both unconstrained and constrained nonlinear programming problems Important features of the Third Edition include: New topics such as second interior point methods, nonconvex optimization, nondifferentiable optimization, and more Updated discussion and new applications in each chapter Detailed numerical examples and graphical illustrations Essential coverage of modeling and formulating nonlinear programs Simple numerical problems Advanced theoretical exercises The book is a solid reference for professionals as well as a useful text for students in the fields of operations research, management science, industrial engineering, applied mathematics, and also in engineering disciplines that deal with analytical optimization techniques. 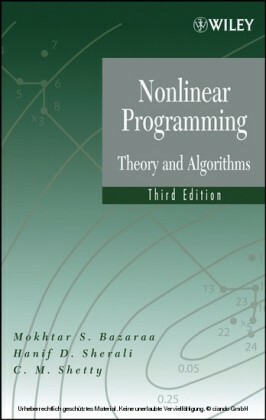 The logical and self-contained format uniquely covers nonlinear programming techniques with a great depth of information and an abundance of valuable examples and illustrations that showcase the most current advances in nonlinear problems.